If your computer is malware-infected, you should remove the threat as soon as possible. 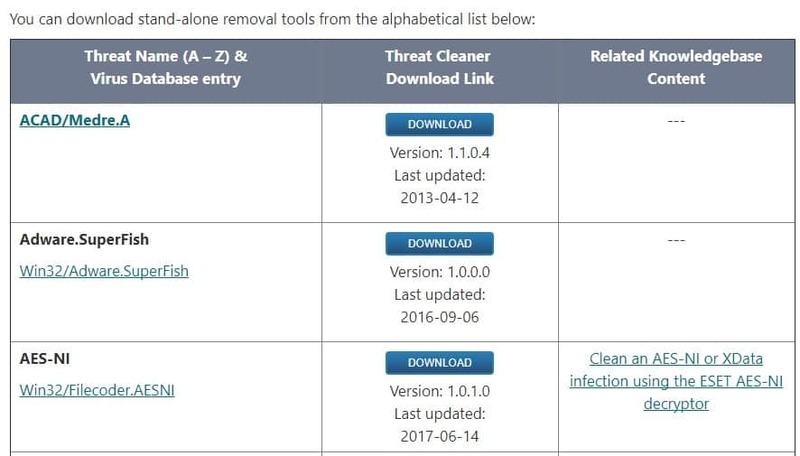 If your antivirus couldn’t detect and block malware from infecting your PC in the first place, use one of the following virus removal tools to clean it. Before we dive in, we strongly suggest you to check out some of the best antivirus software for your Windows PC to avoid falling prey to malware again. 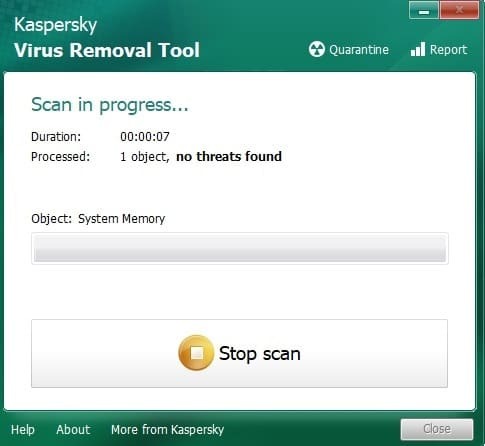 Also, we recommend trying out this tool that will remove viruses and repair the damage done by them. Bitdefender Antivirus removes all malware installed on your computer and prevents future malware attacks as well. This solution identifies malware installed on your PC and removes it in the blink of an eye. Bitdefender has had the best malware detection rate in the cybersecurity industry for the past 5 years. 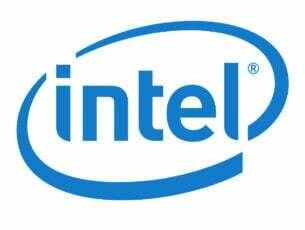 Artificial Intelligence-backed algorithms and other revolutionary technologies will instantly detect and remove threats, without affecting your PC‘s performance. The company offers several antivirus packages, each suitable for specific categories of users. 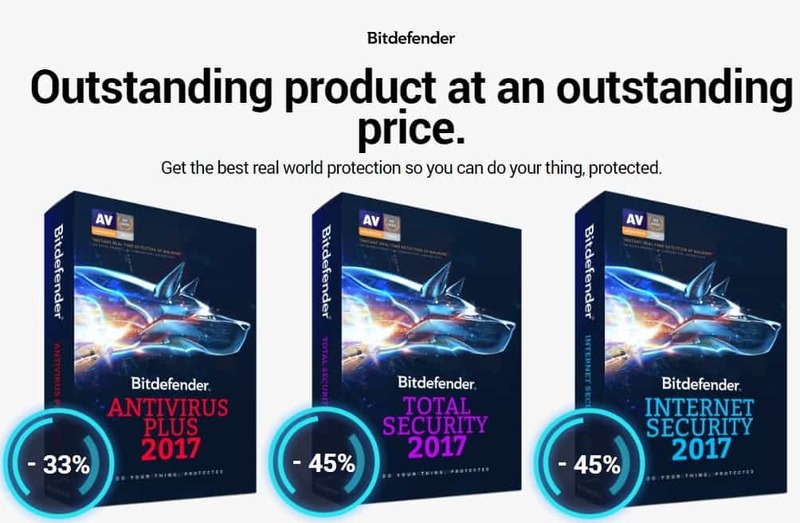 For more information about the available antivirus packages, check out our reviews: Bitdefender Internet Security 2018 and Bitdefender Total Security 2018.
removing malicious threats from their PC. As malware continues to evolve and become more sophisticated to avoid detection by anti-spyware/anti-virus programs, SpyHunter responds with advanced technology to stay one step ahead of today’s threats. 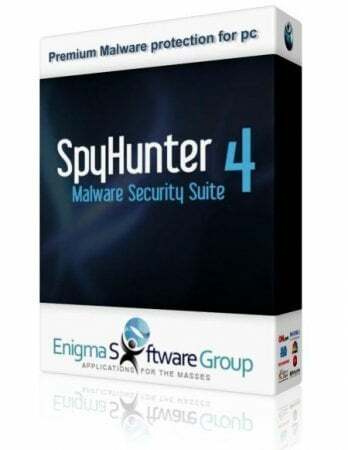 It offers additional customization capabilities to ensure that every user is able to customize SpyHunter for their specific needs. SpyHunter has the ability to detect and remove rootkits, which are used to stealth install ransomware, rogue anti-spyware programs, trojans and other security threats. Rootkits use hidden and encrypted files and folders to avoid detection by traditional security software. SpyHunter’s has an advanced rootkit detection technology which performs an instant rootkit scan. The tool will then ask the user to reboot the computer and will remove the found rootkits it from the PC during the reboot process. 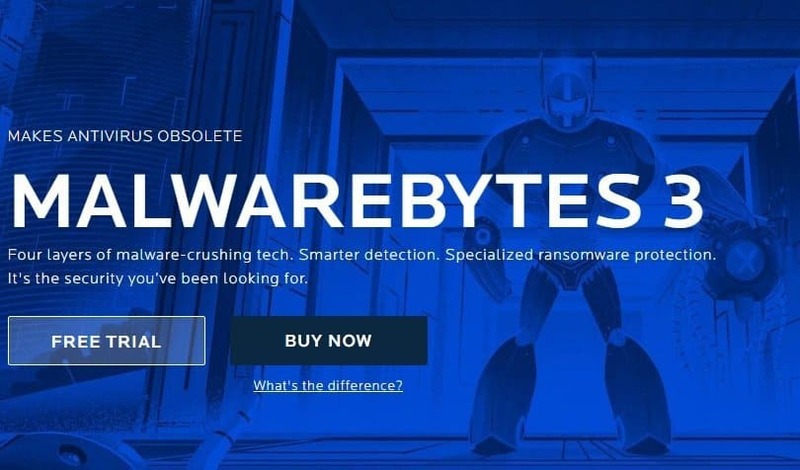 Malwarebytes 3 is an excellent security software that detects and removes malware and advanced threats, preventing them from degrading PC performance or attacking your system. The software relies on four layers of malware-crushing technology: anti-malware, anti-ransomware, anti-exploit, and malicious website protection. The tool can detect and remove all malware types, including adware and Trojans. The scanning process usually takes only a few minutes to complete. In other words, malware won’t be sticking around for too long if you scan your PC regularly. Malwarebytes Anti-Malware is light, and doesn’t take much space on your drive. You can test Malwarebytes 3 for free for 14 days and get full real-time protection. After the 14 days are up, Malwarebytes 3 reverts to limited free version that will only disinfect your computer after an attack. Download Malwarebytes 3 trial and/or buy it for $39.99. The Redmond giant offers Windows users a dedicated Malicious Software Removal Tool (MSRT) to keep computers free from prevalent malware. 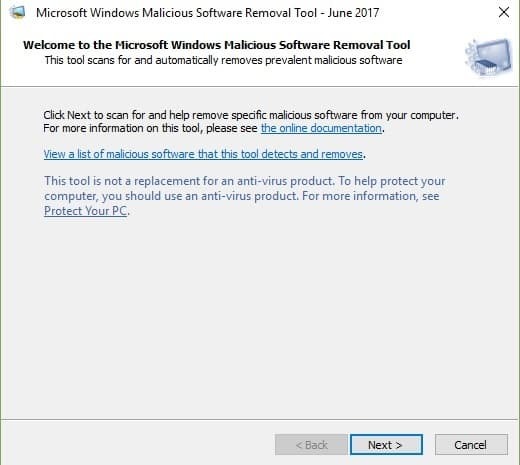 Microsoft’s malware removal tool detects and removes threats, reversing the changes made by malware. After the tool has scanned your computer and removed threats, it displays a report that lists the threats. It also generates the %windir%debug foldermrt.log log file that you can use to get more details about the threat that affected your PC. Keep in mind that this tool doesn’t replace full-fledged antivirus solutions. The MSRT targets particular malware families only. Microsoft rolls out the MSRT on a monthly basis through Windows Update. 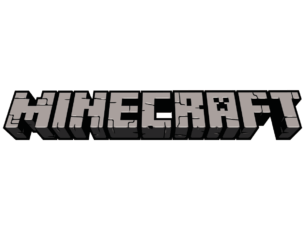 You can also download the standalone tool from Microsoft’s website. If nasty malware sneaked into your computer, Kaspersky is here to save the day. The company offers a powerful virus and spyware removal tool that can detect and remove all the known threats found in your system. Kaspersky’s Virus Removal Tool is a free product that detects malware, adware, riskware and other similar threats. After disinfecting your PC, don’t forget to restart your computer to remove any malware traces left. After downloading the tool, simply open the downloaded file to install and launch the software. If you’re having problems launching the tool, try opening it in Safe Mode. The user interface is very friendly and intuitive: all you need to do is hit the scan button and resume your work. The scanning process will continue in the background. You can download Kaspersky’s Virus Removal Tool from here. 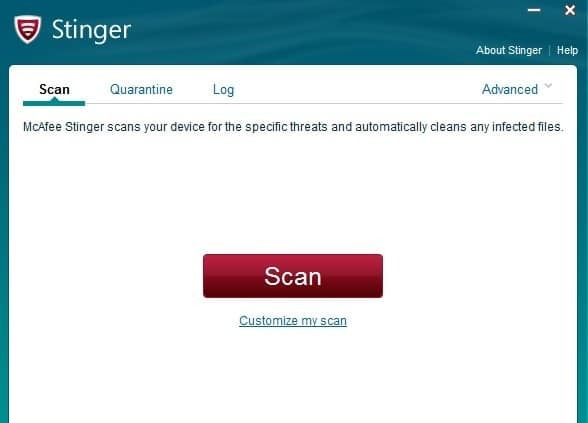 McAfee Labs Stinger is a standalone tool that detects and removes specific virus categories. It is a useful additional tool when dealing with infected systems. The Threat List of the tool includes a list of malware that Stinger is configured to detect. 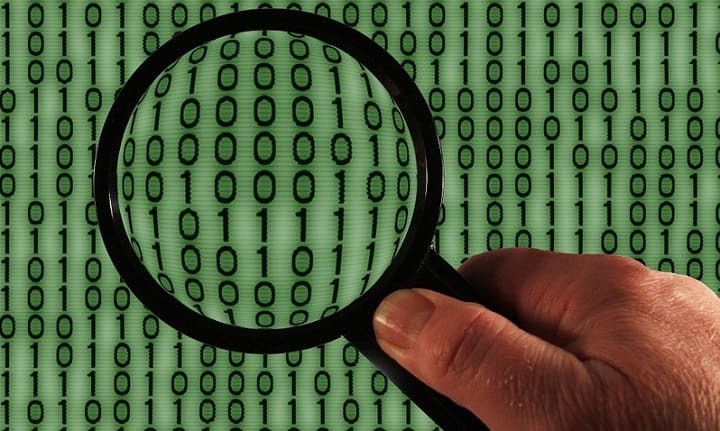 If the specific malware affecting your PC is not on Stinger’s list, it won’t detect it. Stinger also includes a real-time behavior detection technology that monitors suspicious activity to detect malware in real-time. You can also add a series of filters and choose what to scan, how to run the scan , and what happens after threats have been detected. You can download Stinger from McAfee Labs. If your main antivirus detected a threat, but is unable to remove it, try installing the ESET Malware Removal Tool to remove particularly resilient threats, such as rogue antivirus programs, antispyware programs and other malware. Actually, the tool features several individual malware removal software that can tackle specific threats. ESET lists around 30 such tools on its website and constantly updates them. 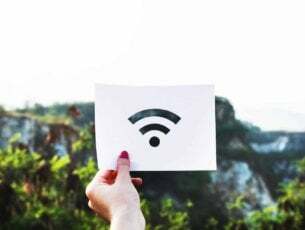 The company also offers a series of detailed information about each particular threat, including information about its origin, behavior and ways to remove it. Norton Power Eraser is a very useful tool that removes deeply embedded and difficult-to-detect malware and unwanted software. If malicious software remained undetected by traditional antivirus solutions, rest assured, Norton Power Erase will trace it and completely remove it from your computer. Keep in mind that Norton Power Eraser uses an extremely aggressive scanning technology that sometimes may mark a legitimate program for removal. Should this happen, you can undo the results of a scan. The tool is very lightweight, quickly scanning your computer for threats. You can use it even if you have a Symantec product, or any other antivirus solution. If the malware infection is preventing you from starting your computer, you can run Norton Power Eraser in Safe mode. 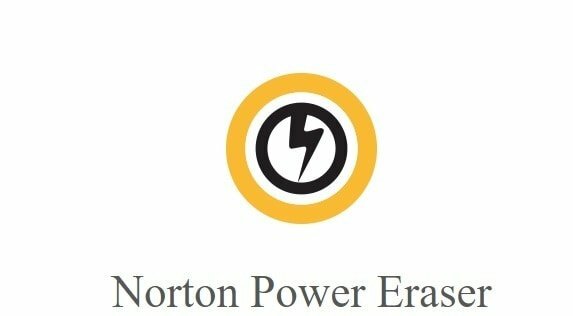 You can download Norton Power Eraser for free from Symantec. 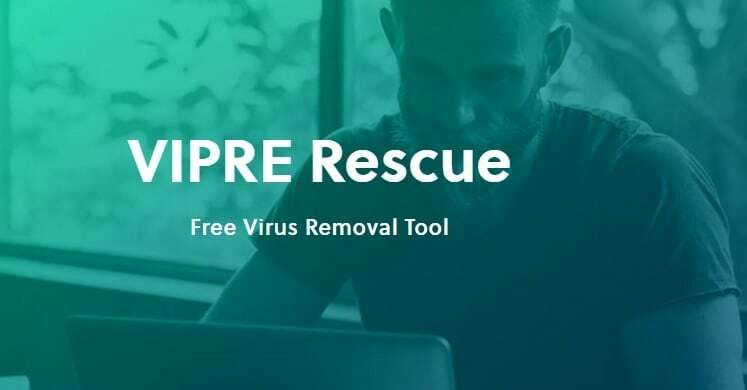 VIPRE Rescue is a handy solution to clean your PC if you are already infected with a virus. If malware disabled your VIPRE antivirus, you can still download VIPRE Rescue to clean your computer. The tool runs a full system scan, analyzing each and every file, including registry entries, system processes, program files, etc. You may find that VIPRE Rescue takes a bit longer to finish the scanning process, so if the process appears stuck, don’t cancel it. Just wait for a few more minutes. Even if the processes of scanning and cleaning your computer take longer than expected, VIPRE Rescue Scanner provides you with accurate results. If the malware infection is preventing your computer from functioning properly, boot it in Safe Mode and then download VIPRE Rescue, launch the app and allow it to clean your device. BullGuard is a powerful antivirus system that will keep even elusive malware at bay. This tool helps you protect all your devices and remove viruses and other malicious codes when a security breach has been detected. After, as BullGuard puts it, your network is as secure as its weakest link. So, if you computer got infected, you need to remove the threat as soon as possible in order to avoid damage to your computer and stop the malware from spreading. BullGuard Antivirus relies on the latest anti-malware technology, using triple layer protection. It recognizes trusted sites and applications, but at the same time it continually scans code for signature and anomalies associated with malware. When malware is detected, BullGuard locks it down in quarantine and then neutralizes it. BullGuard’s firewall is fully optimized for Windows 10, allowing you to track even security updates. It also uses less CPU power, so it won’t slow down your computer. We all know that Windows 10’s built-in antivirus, Windows Defender, takes an awful lot of time to complete a full system scan. BullGuard is much faster, so if you’re looking for a tool that can quickly scan and remove threats, this antivirus is the right choice for you. One interesting feature is Application Filtering, which offers end-to-end protection before, during, and after you download apps. You can download BullGuard Antivirus and try it out for free for 15 days. Keeping your computer secure is primordial nowadays. If your antivirus couldn’t block malware from infecting your computer in the first place, the virus removal tools listed above will definitely remove it. Editor’s note: This post was originally published in July 2017 and has been since completely revamped and updated for freshness, accuracy, and comprehensiveness.